All analyses can be reproduced and documented for publication and review. Version control ensures statistical programs will continue to produce the same results no matter when you wrote them. 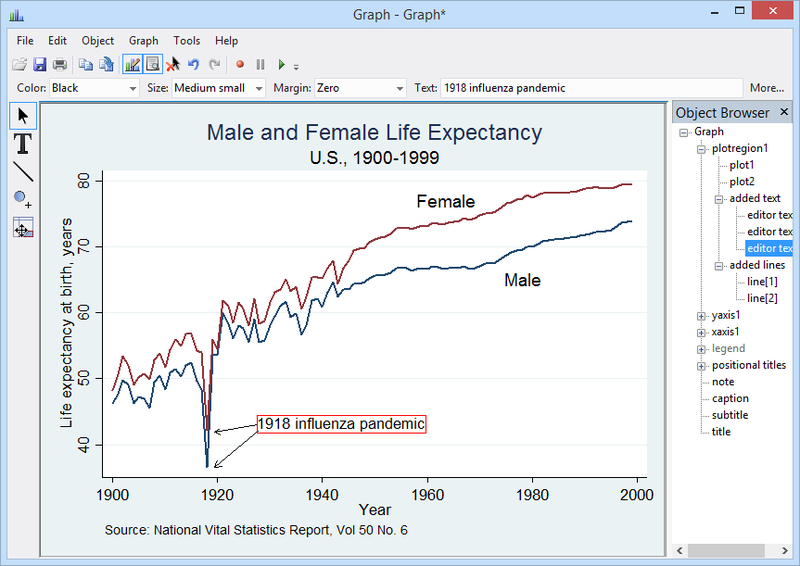 Stata puts hundred of statistical tools at your fingertips from standard methods for students and general practitioners to advanced techniques for complex statistical analysis of large datasets. Stata can be used interactively through menus and dialog boxes or through batch commands processed from a “do” file. Stata runs on Windows, Mac, and Linux/Unix platforms; however, our licenses are not platform specific. Stata/MP (multiprocessing) is suitable for the largest datasets and high performance, by taking advantage of multiprocessor and multicore computing. Stata/MP is available in 2, 4, 6, 8, 12, 16, 32 and 64 processor licences. Stata/SE is suitable for large datasets with modest performance requirements (comparison table below). Stata/IC is suitable for mid-sized datasets (comparison table below). 4+ cores - even faster! You can choose between a perpetual license or an annual license. Stata 15 comes with a comprehensive set of manuals included electronically with the package. Manuals can also be viewed or downloaded here.